Lonsdale Capital Partners ("Lonsdale") today (31 July 2012) announced that it has sold Offshore Containers Holdings Limited, which owns OEG Offshore ("OEG"). OEG is an Aberdeen-based supplier of specialty containers and cabins to offshore oil and gas facilities around the world. The consideration has not been disclosed. Lonsdale purchased OEG in 2008 and has received almost five times invested monies on the sale. Advised Towerbrook Capital Partners, the private equity group, on the acquisition from AAC Capital of Volution Group Limited. Volution is a leading UK manufacturer and distributor of ventilation products, based in Crawley, UK. Advised on the structuring of the alliance between ADCB and Schroder and Co for the provision of private banking and wealth management services to UAE clients out of Switzerland. Advised Powerflute, the owner of a semi-chemical paper mill based in Kuopio, Finland, on the acquisition of Papierfabrik Scheufelen, the owner of a paper mill near Stuttgart, Germany producing coated woodfree papers. Total consideration for the fixed assets was €20m, plus an additional estimated investment in working capital of up to €30m. Lansdowne also advised Powerflute on the successful refinancing of its existing debt and its raising of new debt for the acquisition, as well as the raising of non-recourse financing for Scheufelen. Advised Irish building products company, Kingspan, on the sale of its UK injection moulder of large scale containers. Advised the acquisition vehicle of an international consortium of private investors on the acquisition of Pankaboard, a producer of paperboards for packaging and graphical end uses based in Lieksa, Eastern Finland. 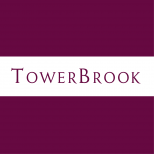 Advised the owners of Pack2Pack on the sale of the business to Towerbrook Capital Partners. Pack2pack, headquartered in Belgium, is Europe’s leading reconditioner of industrial steel drums and IBCs and is expanding rapidly into Asian markets. Advised major shareholder and CEO in the sale of his stake in City Practitioners Ltd., an IT-based professional services company primarily focussed on supporting the implementation of trading platforms for the wholesale banking and investment management markets. Advised the acquisition vehicle of an international consortium of private investors on the acquisition of Powerflute, the owner of a semi-chemical paper mill based in Kuopio, Finland previously owned by M-real Corporation. Powerflute is chaired by Dr. Dermot F. Smurfit. Lansdowne Capital advised on the acquisition and capital raising for the transaction and retains an equity stake in the business. Advised private equity group Texas Pacific Group and CSFB Private Equity on the acquisition from BC Partners of Grohe AG, one of the world’s leading manufacturers of showers and faucets. BC Partners acquired the business for an estimated €1.3 billion in 1999. Transaction details were not disclosed. Advised private equity group Warburg Pincus on the €630 million acquisition of Clondalkin, the international producer of flexible packaging, cartons and self-adhesive labels. Clondalkin was sold to Warburg Pincus by a consortium of private investors, led by Candover. TA Associates, a private equity and buyout firm, acquired a substantial minority stake in GlobeOp Financial Services, valuing the group at over US $170 million. GlobeOp is a rapidly growing private company, with offices in the US, London, Mumbai and the Cayman Islands which develops and operates electronic processing systems for hedge funds and other asset managers. Lansdowne Capital advised a number of selling shareholders in this transaction. Lansdowne Capital was an early investor and has retained its equity stake in this dynamic business. Advised SCA, the Swedish listed packaging and hygiene products group, on the sale of Apura, a hygiene paper distribution business in France, and minority stakes in two similar businesses, Maury and Reynaud. Simultaneously advised SCA on the acquisition of Segas, a French injection moulded plastic packaging business. Terms were not disclosed. Advised private equity group JP Morgan Partners on its acquisition of M&H Plastics. M&H is a UK manufacturer of rigid plastic packaging products, principally to the toiletries and health and beauty sectors. Terms were not disclosed. Advised AssiDomän, the Swedish listed forest products group, on the strategic options for its c. €1 billion barrier coating, sack paper, paper sacks and market pulp operations. Subsequently advised AssiDomän on the sale of certain of these businesses to a subsidiary of Anglo American for c. €565 million. AssiDomän merged the remainder of these assets into Billerud, a joint venture with listed group Stora Enso, which was subsequently listed on the Stockholm Stock Exchange. Advised Greencore Group, the Irish based food manufacturer, on raising c. €1.1 billion of acquisition financing for its recommended bid for Hazlewood Foods plc. Working to a tight timetable, Lansdowne Capital successfully organised a club financing of major lending banks led by Schroder Salomon Smith Barney, Royal Bank of Scotland and Bank of Ireland. Advised NASDAQ listed commercial printer, Mail-Well, on its $102 million acquisition of U.K. listed Porter Chadburn plc, a self-adhesive label manufacturer. Lansdowne Capital acted as lead advisor, and procured broking services on the subsequent tender offer. Advised Mercury Private Equity and Yeoman International in relation to the strategy of Ardagh plc, the Irish glass manufacturer. Ardagh subsequently retained Lansdowne Capital as its advisor on its £240 million acquisition of U.K. glass group, Rockware, from Owens-Illinois. Lansdowne also advised Ardagh on the raising of financing for this acquisition, which was many times Ardagh’s size. Advised Singapore-based Asia Pacific Resources International Holdings Limited (APRIL), the NYSE-listed group, on its strategic and financial options for its operations in China and Indonesia during the S.E. Asian crisis. Lansdowne Capital subsequently advised APRIL on its strategic alliance with the listed Finnish forest products group, UPM-Kymmene, and the companies’ cross-holdings in Asian pulp and fine paper. Advised APRIL on the $580 million recapitalisation of its fine paper operations in Changshu, China. Lansdowne Capital procured new equity capital of $114 million and a bridge loan of $121 million. Changshu ultimately obtained a $250 million syndicated term loan to complete the financing. The successful financing was accomplished despite an extremely difficult economic environment. Advised SCA, the Swedish listed packaging and hygiene products group, on alternative financing structures (including a leveraged joint venture) relating to the intended purchase of two major packaging groups. Subsequently advised SCA on its successful £195 million acquisition of Rexam Industrial Packaging in the U.K. Advised Principal Healthcare Finance Limited (PHFL) on its sale to Four Seasons Healthcare Limited, a portfolio company of Alchemy Partners. PHFL owns and leases retirement homes in the UK. Advised private equity group Warburg Pincus on the formation of an equity consortium, Valentia, which subsequently completed a €3bn recommended offer for the Irish telecom operator, Eircom. Provided Revlon, Inc. with a fairness opinion on the purchase of Charles of the Ritz from Mac Andrews and Forbes. Advised private equity group Schroder Ventures (now Permira) in relation to its £103 million acquisition of Betts, the international laminated tube and rigid plastic packaging business. Advised a major European public group on its takeover defence options following a €10bn unsolicited approach by a competitor. This subsequently led to a major restructuring of the group. Advised private equity group Warburg Pincus on the recapitalisation of its investment in Luhns, a German-based producer of private label household products. Advised Jefferson Smurfit Group on the strategic options for its fine paper operations at Condat, France. Condat was sold to Lecta for c. $300 million. Advised Cognotec, a world-leading ASP in foreign exchange for the banking market, and its majority owner, on a variety of financial matters including several successful rounds of private equity funding.